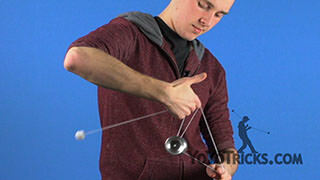 Learn the Molten Core 5A trick from Jake Elliott. 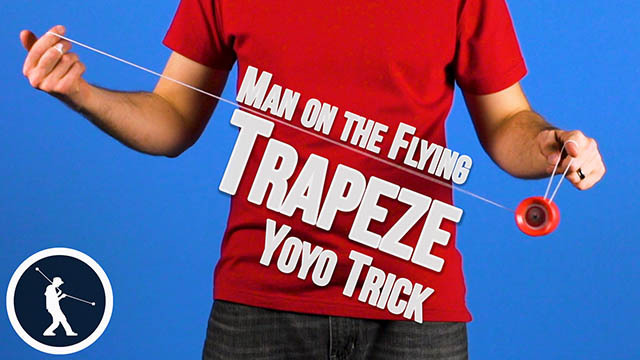 To do this trick, you need to know how to do the trick Drop Trapeze. So if you have not learned that one yet, you are definitely going to want to go back and check out our tutorial on our website. 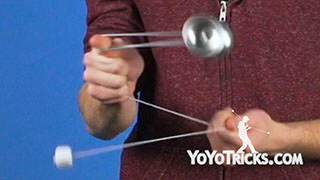 The first part of this trick is actually more complicated than it might seem. 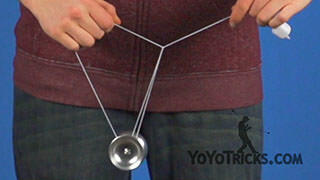 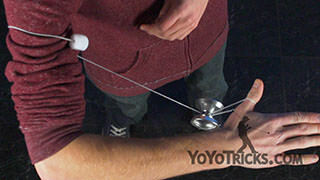 You are controlling the yoyo with your throwhand and the counterweight with your opposite hand. 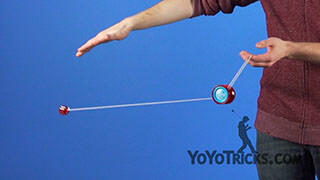 So let’s break it down. 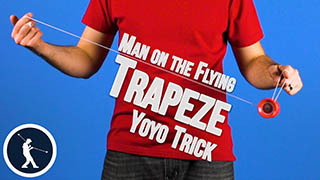 Start this trick in a trapeze. 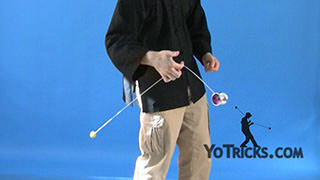 Then just like with drop trapeze, we are going to drop the counterweight and swing the yoyo toward our throwhand side, rather than landing it into a trapeze. 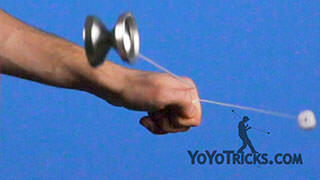 Instead we are going to land the yoyo on our throwhand for a finger grind. 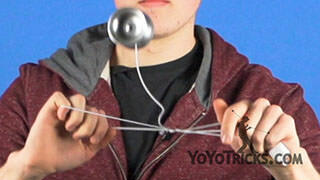 During this finger grind, the counterweight is going to be swinging toward your opposite hand side. 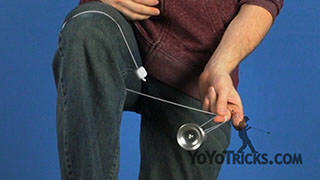 So as the yoyo is grinding you will want to take your opposite hand and slide it down the string leading to the counterweight about halfway down and stall the counterweight. 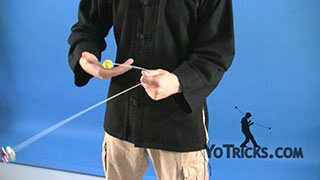 After the counterweight is stalled, you will want to take your opposite hand, pinch the string just a little bit, and bring the counterweight over toward your throwhand side. 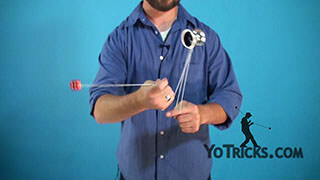 Bring the counterweight over your throwhand arm. 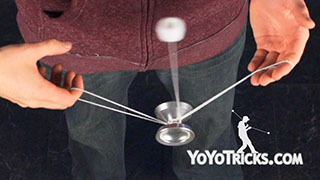 During that, I am going to hop the yoyo off of my throwhand pointer finger and land it into a trapeze on my throwhand thumb. 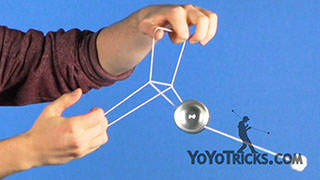 So, the yoyo is grinding, thumb out, push in, and then you can land in this formation. 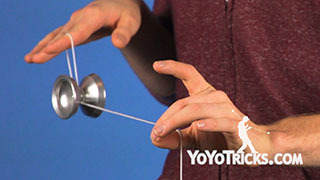 You want to hop the yoyo up as you are bringing your opposite hand down, so that the string in your opposite hand can land underneath the yoyo. 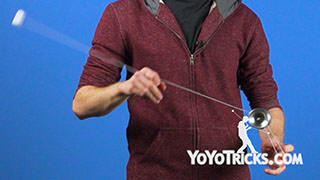 From there, what you are going to do is take your opposite hand and push down on this string. You will want to pinch the string in your throwhand between your thumb and your hand. 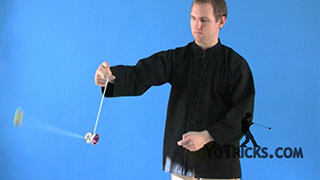 I am going to push down, the counterweight is going to come under my arm, all the way around. 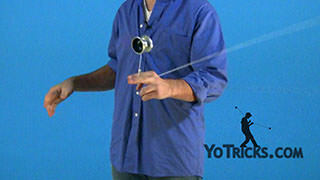 I can catch the counterweight in my opposite hand. 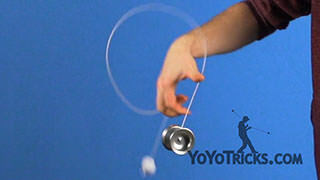 I can let go of this pinch in my throwhand and land the yoyo onto a trapeze around my throwhand arm. 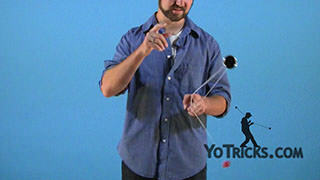 Once you are in that formation, you want to take your opposite hand and throw the counterweight down. 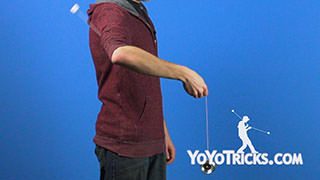 It is really important to throw it straight down because if your hand is too close to you or too far forward, you are going to miss the catch. 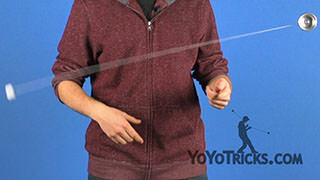 So I am going to throw it down and then after I let go of the counterweight I am going to stick out my opposite hand pointer finger so that the counterweight string can wrap around and land into the yoyo into a trapeze. 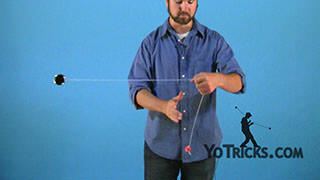 To break that down a little bit more, when the string first touches your opposite hand pointer finger, you want to make sure to pinch the string a little bit so that the yoyo does not fall and the counterweight can come all the way around. 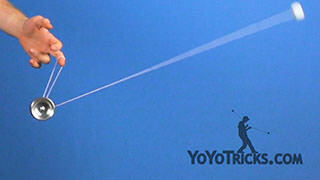 That is Molten Core.